Sarah noted that she was only a Hirschland by marriage, but she and Werner (Zeev) Hirschland had several children together, and her husband had several from his first marriage. To see the family tree, go to Geni.com and search for Sarah. The story of how Werner left Germany differs from those of other Hirschlands that I have collected, but it probably mirrors those of many others. Sarah shared with me that in 1936, Werner was walking home from school when a gang of “German youth attached him calling him a dirty Jew.” Werner had some boxing training, and fought them off. After the police threatened him with deportation to a concentration camp, his parents contacted the leaders of the movement who arranged to have him immediately escorted to Israel ahead of the group. He was sent to Kibbutz Geva where he waited the arrival of the others from the group. This was in 1936, when Werner was 16 years old. Zeev wanted to be independent and preferred to work in Sarona (a Moshav) rather than join a kibbutz. 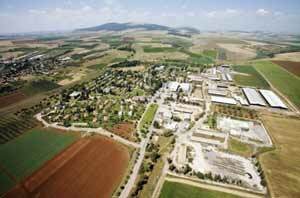 (A Moshav is a collective settlement of independent farmers, quite different from a kibbutz.) He joined the Palestine brigade of the British army and fought against the Nazis until the end of the war in 1946. When he returned from the war he met Carmela in Sarona and they were married. After 10 years of marriage and 3 children he realized that the marriage was not working. That’s when he decided to give up his dream of being an independent farmer and joined his friends at Kibbutz Maayan Tsevi in order to be able to gain custody of the children… . He was given custody of the 2 older girls (immediately and later) the youngest…. When I (Sarah) came to the kibbutz in1958 and saw how Zeev was devoting himself to raising 3 children by himself — I was impressed! I never dreamed I would stay in Israel, let alone marry an older man (17 years my senior) with 3 children. It wasn’t easy but it was worth the effort! Sarah, and her niece Edna (settled in Ohio), mentioned in other letters that Werner had a brother, Franz Josef, who escaped to Brazil, via Paris & Uruguay. He had a daughter and a grandson. Franz Josef has since died. There are also cousins in Belgium through Hugo’s brother, Gustav. Note that a good number of other Hirschlands have since moved to Israel. One of these days, we will see if we can post a more definitive list.